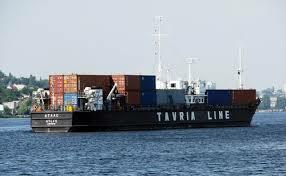 Container line "Tavria" performs container, general and bulk cargoes transportation from the Black and marmara sea ports to the port complex Aquarelle. In 2010 Aquarelle LTD developed new perspective direction of transportation on the route Istanbul (Turkey) - Constanza (Romania) - Dnepropetrovsk (Ukraine). This direction simplifies route of cargoes delivery directli to the centre of country. Container vessels type River-Sea work on the route Dnepropetrovsk-Kherson-Constanza that allows our customers to avoid problems, concerned with overload Ukrinian ports Odessa and Ilyichevsk, predict time of cargoes arrival to warehouse. Aquarelle LTD provides wide range services of cargoes trasportation worldwide. Delivery of cargoes is realized by river, sea, and automobile transport. Major company`s importers use our services.